It's always been a stand-off of sorts between An American Werewolf in London and The Howling. Personally, I hated The Howling and I love AAWIL. It's funny, scary, gory, and has some of the best animatronics you're apt to find in any movie. The ending was surpringly bleak to such a fun film, but I think this adds to the awesomenesty (that's a new word) of it. I love how it just cuts to the end credits just out of the "blue" and "Blue Moon" by The Marcels plays during the end credits. Such a depresng ending with such an upbeat song leads to one of those moments where at first you're speechless, than a smile slowly starts to form until you come to the realization that this film rocks! Just glad to see Alice Cooper on here, not once, but twice! Coop is my all time favorite artist and just the epitome of good old fashioned horror. Got to see him in 2008 and it was AMAZING! The man knows his stuff. Dream Warriors?! Come on! 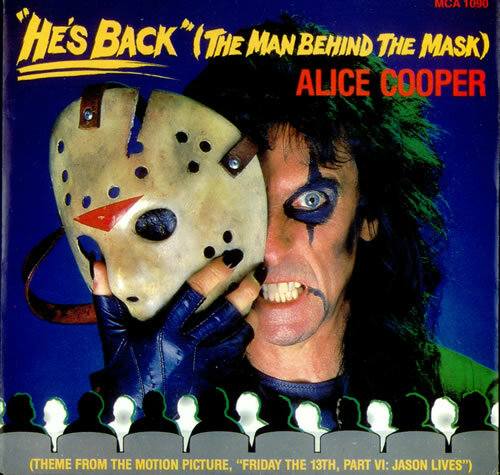 I love Alice Cooper too, but 2 songs really?